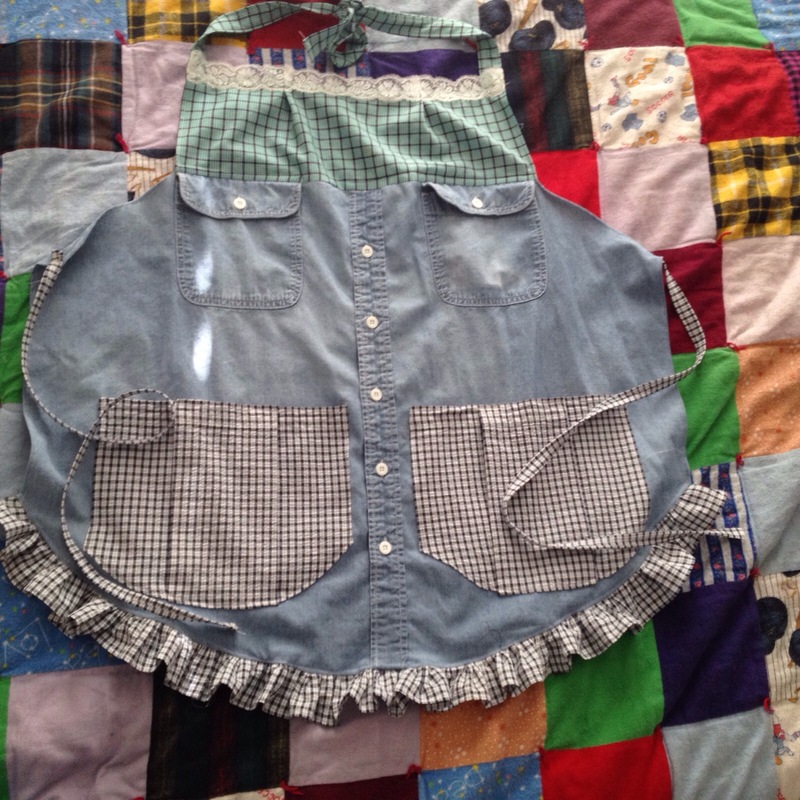 I have been commissioned by a coworker to make aprons out of her late fathers shirts for the granddaughters and daughters. What a great way to honor a loved one. Pinterest is filled with ideas, but this one is the most basic. Here’s the first one I’ve made so far. 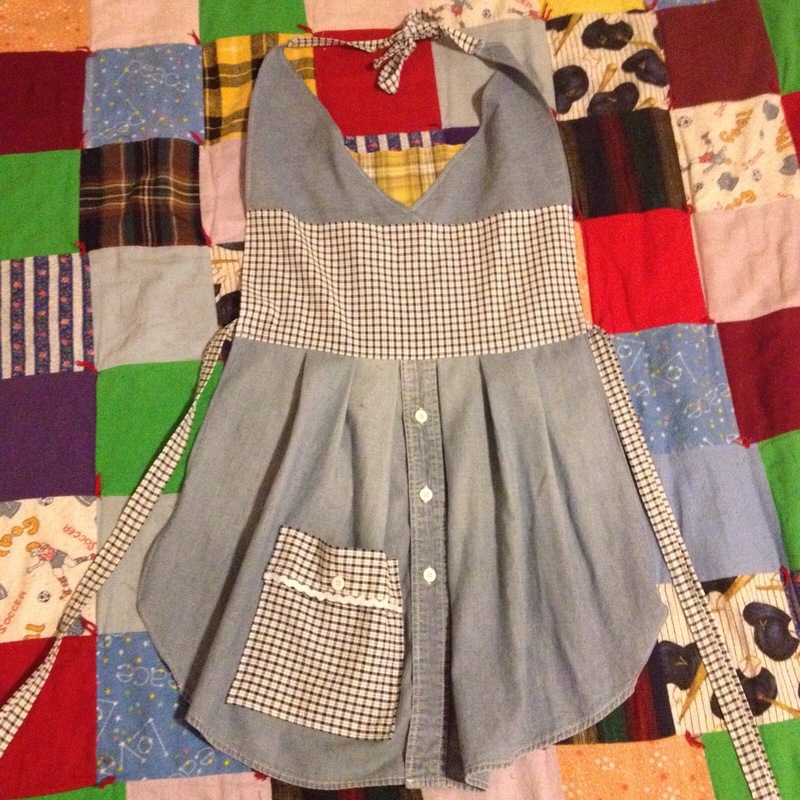 I used the shirt sleeves for the pockets by gathering the seam and sewing it to the shirt. 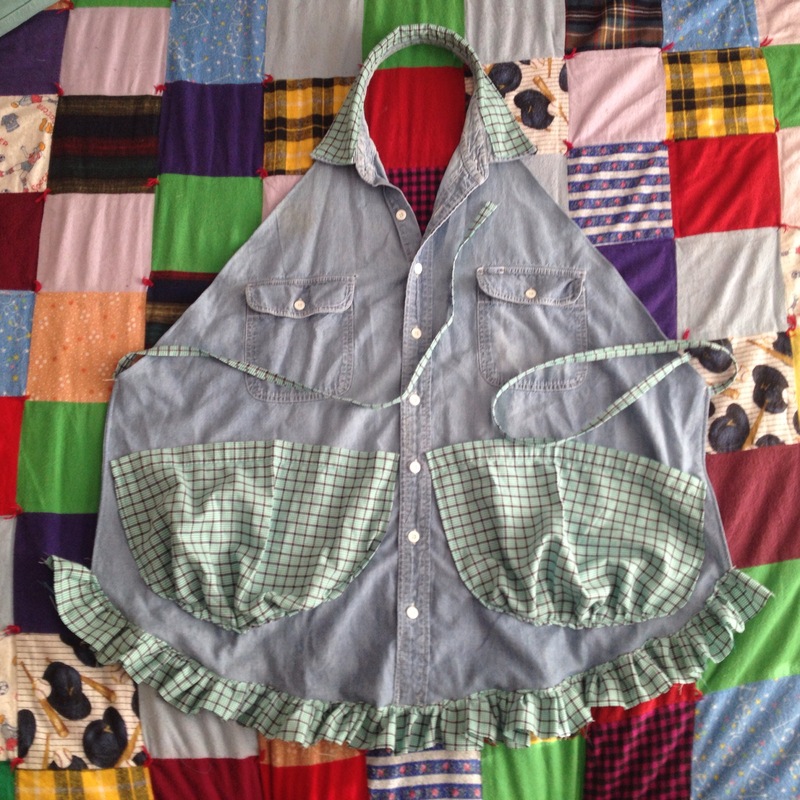 The ruffle, ties, and collar facing is from the back of another shirt. One down, 10 to go!